Spanish containerboard and corrugated packaging manufacturer Europac Group has acquired packaging plant in the town of Lucena, in Cordoba, for €9.8m to boost its packaging operations. The two companies, including Industrias Cartones Ondulados Andaluces (ICOA) and Ondulados Andaluces (OASA), are engaged in manufacturing corrugated cardboard and using cardboard for packaging. 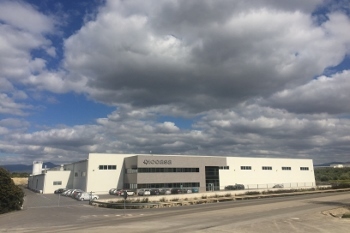 The facility, which will be called Europac Packaging Lucena in future, comprises one corrugator and three converters to turn cardboard into boxes. In 2016, the plant used 7,000t of paper and produced 16 million m2 of cardboard and packaging. Europac is planning to invest €10m to expand its facilities, increase production, purchase new assets and optimize current assets. The investment is expected to create 25 direct new jobs. Image: Europac purchased an integrated packaging plant in Lucena, Spain from two firms. Photo: courtesy of Europac.